Weekly half-hour episodes of the "ZeroLux Paranormal" TV show air Saturday nights at 11:59 pm on Maine's WPME, and 1 hour extended episodes can be viewed directly on the ZeroLux Paranormal website. Tony and Kat investigate a private location in an historic village in coastal Maine. Support staff members really help round out the MGH experience for clients and the public, alike. Co-Founders Tony and Kat give presentations all over Maine. Maine Ghost Hunters relies heavily on visual data as a primary tool in our evidence collection & review processes. MGH knows video evidence is often the most compelling, which is why we record all investigations from start to finish. The personal relationship MGH creates with each of our clients is based on trust, respect, genuine care & compassion, and is designed to last long after the case is closed. MGH team members have a passion for paranormal. We love being Maine Ghost Hunters! Welcome to the online presence of the Maine Ghost Hunters organization. Maine Ghost Hunters is a 100% volunteer organization. Our team has a deep & genuine interest in the history of Maine (and New England), and we express our passion for this subject through our interactions and engagements as paranormal investigators. We realize the past sometimes reaches into the present, and the phenomena fascinates us. We charge nothing for our investigations and there are absolutely no fees attached to the ghost hunting services we provide. As a matter of fact, Maine Ghost Hunters can be seen putting on fundraising events throughout the year, with 100% of collected donations given to charitable organizations. If you’ve come to our website, chances are you’re interested in what we’ve been up to and what sort of “evidence” we’ve uncovered during our team’s paranormal research and investigation ventures. If so, you’re in luck, because we’re constantly collecting audio & video data at our investigations and, as you may or may not know, we’re a fairly busy team. Our investigation schedule is generally quite active throughout the year, so whenever it’s possible to share our findings with you we jump at the chance, and whenever possible we incorporate evidence into our local Maine TV show – ZeroLux Paranormal TV. Yet another reason to keep your visits to our site frequent and numerous! Have you had an encounter with a spirit you’d like us to investigate further for you? If so, contact us by e-mail . We’re looking forward to hearing from you! Our team is ready to travel anywhere in New England to help bring our clients a deeper level of understanding with spiritual matters in question. In addition, if you have an idea for an historical site you think we should investigate e-mail your suggestion today! Maine Ghost Hunters is the charter team for ZeroLux Paranormal. We investigate a very wide range of paranormal phenomena, including UFO sightings, Bigfoot encounters, and subject matter pertaining to cryptozoology. If you’d like to share your experiences with this subject matter e-mail us today. 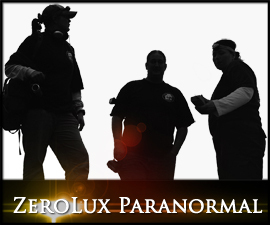 Maine Ghost Hunters announced the launch of our Paranormal Reality TV show, titled ZeroLux Paranormal back in early 2012. If you’re in New England you can view the show on WPME – MyNetworkTV – every Saturday night at 11:59 pm EST. Check out WPME’s weekly programming schedule for more information. In addition, Every episode, with bonus footage and supplementary scenes, has been released as part of each season’s web series on the ZeroLux Paranormal website. Want to film an episode of ZeroLux Paranormal with the ZLP crew? Check out the ZeroLux Paranormal website to find out how! A Note from Maine Ghost Hunters Leadership The Maine Ghost Hunters organization has been incredibly busy over the past couple of years, but never too busy to thank our generous supporters for your time, patience, and interest. When we were initially approached with the idea of launching a television show based on our involvements and adventures our first reaction was to consider how doing so would impact our local communities, public & private clients, places of historic significance, and peer groups within this shared interest of “paranormal” – particularly those here in Maine and New England. Our primary goals have been, and will continue to be, focused on how our presence, activities, and interactions affect those with which we share this beautiful & historically rich region of the country, and how effectively we can; reach out to help those in need, teach those who want to learn, and influence those who are looking for direction. It’s with the best of intentions we bring the Maine Ghost Hunters experience to you, the viewer, via the ZeroLux Paranormal TV show. ZeroLux Paranormal proudly presents the perspective of the investigator – exciting events and lackluster moments alike because, at the end of each episode, we believe this is the only perspective that will leave today’s sophisticated viewers satisfied. It is what it is, and it’s time to bring that darkness into the light. The average ZeroLux Paranormal viewer is about “authenticity” and we’re proud to bring the essence of our experiences to life in each of our episodes. We’re forever grateful & thankful for your continued support and, as always, we encourage you to reach out to us in a personal way by joining our ghost hunting group, “liking” our ZeroLux Paranormal Facebook page, joining our Maine Ghost Hunters Facebook Group, and “Following” our ZeroLuxMedia and MGH Twitter accounts. And, of course, we openly welcome receiving your production tips, historical leads, and ideas for investigation locations, via e-mail. 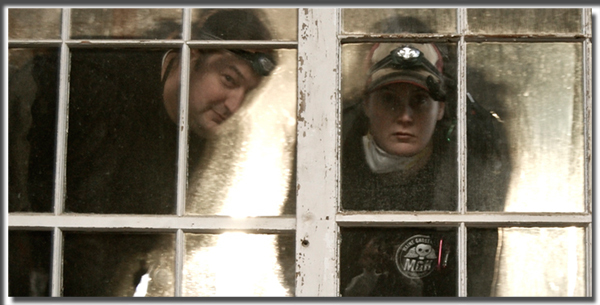 Maine Ghost Hunters was established in 2008 and remained a very small organization until Spring of 2009. It is from these humble beginnings that MGH is rooted, and with our unwavering dedication to our client-base, and passion for conducting investigations to the best of our collective ability, we continue to grow. It’s with pride that we can firmly state; the Maine Ghost Hunters team name is associated with professionalism, dependability, and a solid reputation. We’ve worked hard to get where we are, and we’re thankful to everyone who helped us get here. 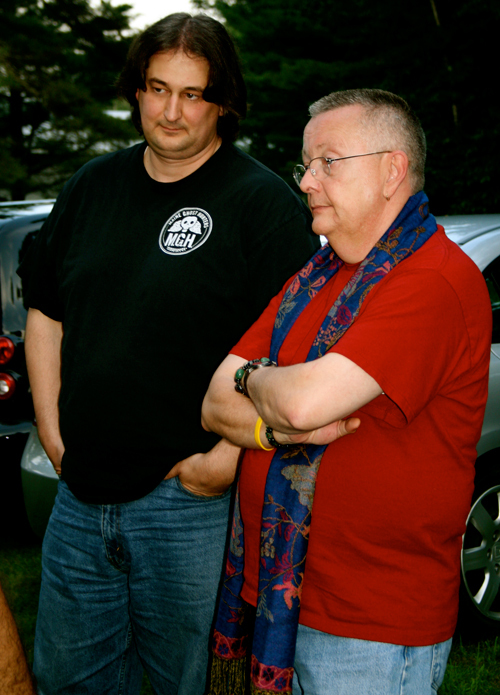 “Often imitated, but never duplicated” – Maine Ghost Hunters is authentically original. We have collaborated with multiple nationally televised paranormal reality TV shows, including; The Animal Planet’s: The Haunted, A&E Bio’s: My Ghost Story, and A&E’s: Psychic Kids – Children of the Paranormal. We’re very active within our local communities and invite you to join our meet-up group where we do our best to bring you into the MGH experience.